Happy Monday, everyone! I hope those of you in the States had a great holiday weekend! I received the gift of a nasty virus my hubby had, so I’ve been feeling under the weather for the past few days. Because I’ve been sick, I’m way behind on my to-do list, which has me feeling stressed out. I have projects I need to complete that I’d like to spend more time on, but I know I need to get them done. 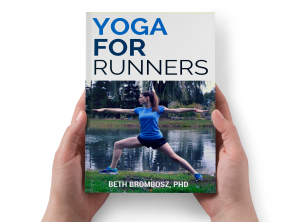 Specifically, I’d like to self-publish a print version of my Yoga for Runners eBook very soon. I’ve had a lot of family members ask where they can buy a copy. Some have even mentioned that they’d like to give the book as a Christmas gift, so I need to get that project done ASAP. However, I’ve been stalling because I wanted to spend more time perfecting the cover, tweaking the size of the image, and making other small edits. 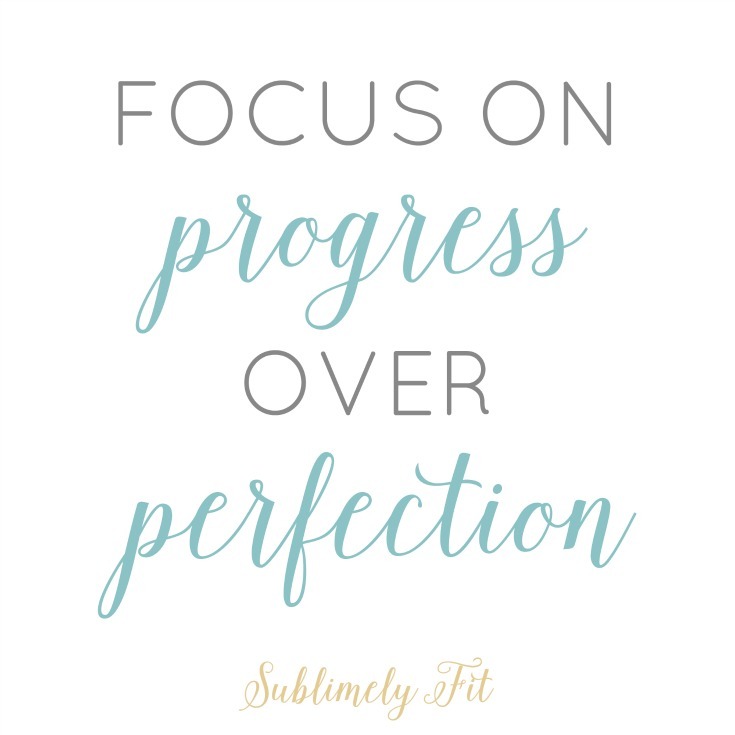 Luckily, I have a wonderful mentor who reminded me that sometimes our need for perfection keeps us from getting anything done. If we have everything just the way we want it, we’ve likely spent more time than we needed to on the project. So, this afternoon I took the version of the book I had and uploaded it to CreateSpace, and hopefully soon I’ll be able to order copies of my book. Progress over perfection. I love how well this idea translates to fitness and sports. You may not be a perfect runner. You may not be as fast as you’d like to be, or as strong as you’d like to be. Maybe you’ve been waiting to run a race until you’re in PR shape. Take a moment, evaluate where you’re at, and decide if it’s time to start to focus on where you’re at instead of where you’re going. 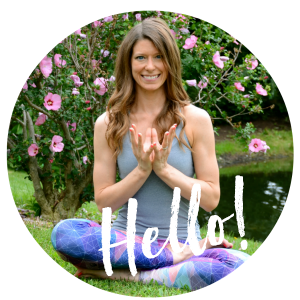 Be present, enjoy the ride, the run, whatever it is you’re doing. Don’t tell yourself that you’ll be happy when you meet some goal. Choose to be happy now. So true! I have been feeling that way about running a marathon. I eventually had to tell myself that if I was able to get to the finish line of a half marathon with a smile on my face that I’d be “ready” to move on to a full. And I just did that in October! I’m thinking about a full in 2016 now and I’m pretty pumped about it. Congrats on taking the next step with your book and hopefully you love it just the way it is! I think that we have to come from a place of knowing there is no one true perfect; rather, we have to find what is RIGHT for us. And “right” can change! Even beyond the “do the best you can” sentiment, we all need to learn to look back at situations and look at what we did that we are proud of. It’s hard to learn that kind of perspective, but it is so valuable in the end. I’ve been loving Gretchen Rubin lately and I love her mantra of “Don’t let perfection be the enemy of good”. It’s something I remind myself of often and I find it to be so helpful.